Code : CT850 9 Item(s) Available. For almost 3 decades, cervical traction “add-on” devices found on traction tables are either in the form of a strap-on face-lift type of harness that hangs off a right-angled pole or a bulky iron slider. To install or dismantle them on the traction table, quite some effort and time are required from the therapists. With the all-new CT850 Cervical Traction Add-On Device, the neck wedges, head pad and baseboard are all molded from carefully selected high-quality composite polymer. The complete slider is made of light-weight extruded aluminum. The over-hanger + joints + pulley are all constructed from high-grade anodized (hard coated) aluminum. Especially the “Block Joints + Pulleys,” they are CNC milled and machined to perfection from a whole billet aluminum. All components and parts of the CT850 are hand assembled with precision. Hence from the therapist point of view, installation and dismantling of the CT850 on/off the traction table is simple, swift and effortless. Just pull out the aluminum PIN that is secured by an O-Ring and insert the slider’s stainless steel PIN to the over-hanger then insert the alu. PIN back once again. Mount the over-hanger on the Traction Unit and secure only ONE knob screw. Then pull the traction cord over the 1st pulley then underneath the 2nd one. 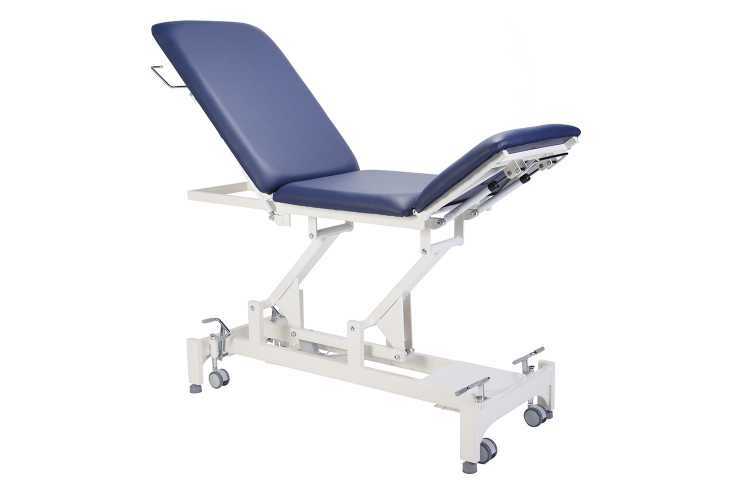 Walla, the CT850 is ready to provide the patient with a comfortable cervical traction therapy. 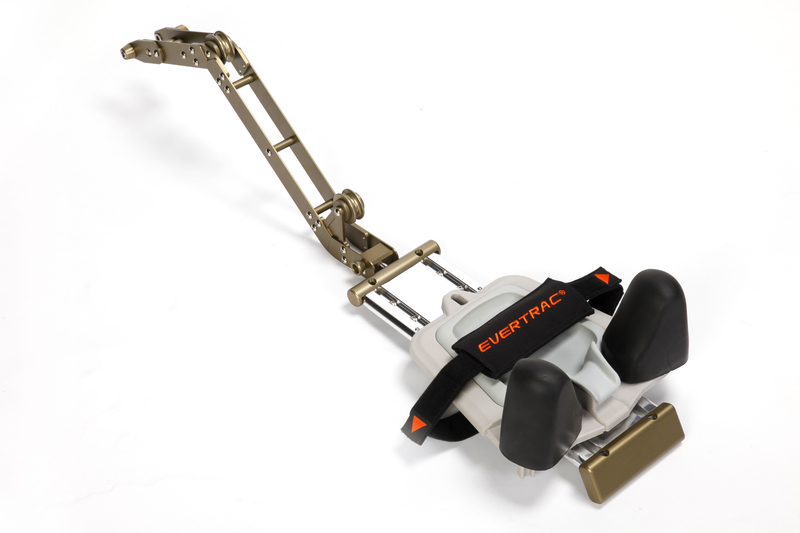 The adjustment of traction angle is simply done by the electric or hydraulic elevation feature of the traction table. The neck wedges can be widen or narrowed depending on patience neck width from either side.